First of all, it’s been a while since I lasted posted and quite a bit has happened since then. Well, we beat Tripolis in our last regular season game, 2-0 at home. A rather eventful game in fact so I’ll go through some of it here. We started with a different line up than what was being predicted by most, the main reason for this being the fact that several players (Scocco, Blanco, Araujo, Arce, Saja, Roger, and others) were out partying two nights before the game until the early morning hours. Naturally, Bajevic found out about this and benched all of them, including Roger who was set to have his first start with the team since December. Unfortunate for him, but I support Bajevic’s decision completely. Only two weeks before the playoffs and the last thing we need is our players partying during the week before important games. Another thing worth mentioning is that before the game a large gathering which I attended, was held in Nea Filadelfia on the street outside our old stadium. Around 2,000 AEK fans showed up. A decent number, sure, but hopefully we will see far more in the future. Several former players including the great goalkeeper Elias Atmatsidis showed up and gave speeched discussing the team’s past and its current situation. The general feelings regarding our management were not happy ones since only days before Adamidis gave a press conference in which he stated that Scocco is for sale, including to Greek teams (Panathinaikos, Olympiakos…). Rightfully so, the fans were not happy about this. Afterall, AEK has never sold a player to either PAO or Oly. Unfortunately though, Adamidis was not predicting (or maybe he was…) as large an uprising among the supporters and before we knew it AEK was once again a team surrounded by controversy as we were before the Christmas break. Back to the game. Things started well for us generally. Tripolis rarely gave us trouble and we were creating chances, but not scoring when we should have been. Eventually though, Djebbour finally broke the deadlock. However, later on in the game Bajevic decided to introduce Scocco as a sub (most people believe he did this on purpose) which immediately led to half the fans booing the player and another half singing his name, trying all they could to support him. Just minutes later, the Originals began rioting and were soon making their way towards the VIP section. Eventually the Riot squad came into the stadium to protect Adamidis and others however, anyone who knows the Originals knows that bringing the Riot police into the mix is only going to make things worse. All of a sudden hundreds of fans started charging the police and many minor fights broke out leading to some injuries. The rioting carried on throughout the game and even for a while after it. The ref was forced to pause the match for approximately ten minutes as the fighting spilled onto the pitch. He did eventually continue the match though and late in extra time Kafes scored another goal for AEK (without many of the fans even realizing the game had started again) making the score 2-0. The game ended that way and Kostas Manolas received the MVP award. Not one player out there deserved the award more than him. Every game he is constantly proving fans and management what he is capable of as he continues to consistently play like a center-back that’s been playing the game professionally for a decade rather than a year or so. Well, up next is the playoffs and they are approaching rather quickly. In fact, we play our first game this Wednesday against PAOK in OAKA. I personally believe we will take this one if the players and fans can focus on the match for ninety minutes rather than whats happening behind the scenes. PAOK are no longer anything special (though they did win their last game 4-1 against Ergotelis) and while we mustn’t underestimate them, if we play the best we can we should be able to leave OAKA with a positive result. Now I would like to take a minute to apologize to any readers who use this site frequently. Over the next three weeks I will be taking my end of year exams. These will be my final high school exams since I will be going to University next year and it is these exams that the Universities focus on most when making a decision, so I will not have as time as will like to update the site. I will still be going to the games so I will try to update as frequently as possible, but I can’t guarantee anything for these next three weeks. However, after the 24th of May, I will be more free than ever and I promise to update the site then as soon as something worthwhile pops up in the news or something regarding the transfers. I will be away at times during the summer however even then I will try and update as often as possible to make up for these past few weeks and the upcoming weeks. Well, our night went from good to about as bad as it could get. As you can see from the post below we were up 1-0 at half time. The second half started and early on Majstorovic gets his second yellow and is sent off and Bate tie the game. So, one of our key players is sent off, the pitch condition is deteriorating (and it was disgusting to begin with) and we were loosing the control over the game we had before. We managed to continue fighting (at this point one point really wouldn’t have been bad at all) however we also continued to concede corners. Bate started pressuring and we couldn’t get good control over the game. Blanco was taken off and replaced with Makos. Makos had to cover right back as Jahic had to move to the center to cover the void left by Majstorovic. Nemeth was left up front and had chance after chance, however the ref seemed determined to call him offside any time he had the ball (fine some of the calls were fair, but there were a few where there was no offsides at all) and refused to call any of the many fouls committed against him. Eventually, Juanfran had to come off due to injury and was replaced by Karabelas. As for the game in general, we saw some good things but lost control of the game as it went on, especially with Majstorovic being expelled. The team was clearly being frustrated by the ref, as well as Bajevic, who was eventually sent off. -Had Everton won today, AEK would have still had decent chances of advancing. Instead, Benfica beat Everton 5-0, leaving us further behind. -Our two centre backs today both got red cards, meaning they are suspended for one match. Our other centre backs are injured (Geraldo) or have just recovered from injury (Alexopoulos) and will not be ready to play anytime soon. -Araujo is still suspended for a match, Georgeas is injured, and Koutromanos is severely injured and is out for the entire season. So, all three of our main right backs are unavailable for the next match. -Juanfran received an injury today and might not be able to play next match. Sp, essentially, we have no defence to field and will instead have to rely on other players from other positions. Of course, add to this the fact that nothing but wins will leave us with any chance of advancing and our future in Europa League this year looks grim. Not good news considering we already have no chance of winning the championship, or at least finishing high. Not much else I can say right now, I just can’t believe what has happened to our club. I guess all we can do is continue supporting AEK and hope management (this new owner couldn’t come at a better time if he does) and the players do what they can. Half Time BATE 0-1 AEK !!!! 45 minutes in and we’re leading this one 1-0! Blanco scored a penalty (certainly the correct call) to put us up and we now are in a great position and the win is definately possible. Conditions are terrible in Minsk. It is extremely cold (near zero degrees celcius) and the pitch is extremely wet. Our players are sliding all over the place, which doesnt help players like Scocco. We’re playing a very good game, compared to what we saw over the weekend. Our players are fighting hard, winning every ball, and are clearly in this for the win and nothing less. We’re working well together as a whole with pretty much everyone playing a role. Our starting lineup was Saja, Jahic, Arce, Majstorovic, Juanfran, Kafes, Nsaliwa, Scocco, Nemeth, Blanco, and Manduca. Everyone is playing quite well, including Juanfran, but I really must point out Nsaliwa in particular. He hasn’t played in a while but he is playing extremely well at the moment. His tackles are incredible, ball control, through balls, he’s playing great generally. Nemeth is also playing well and had some great chances. We are dominating possession and had many good chances. We have been caught on the counter attacks a couple of times and have given up some dangerous free kicks at times, but we’re holding on. Now, time for the second half! AEKMAN74 posted a review earlier on this match which covered most of the main points so be sure to check that out as well. I’d just like to add a few things. We lined up with Saja as keeper, Araujo, Arce, Majstorovic, and Georgeas (who played left back) playing defence, Hersi, Geurreiro, Jahic, and Manduca playing Midfield, with Scocco and Blanco playing attack. Our formation varied at times. I believe that when we were attacking our defence became only three with Araujo moving up and Majstorovic covering right back. I saw this on a number of occasions and am not sure if it was intended, but it happened more than I remember seeing from other games. It is clear though, that after last week’s victory over Benfica we went into this one fighting for nothing but a win. Unfortunately, we got caught many times on the counterattack. Xanthi released forwards quickly and caught us many times with more attackers than we had defenders. This was worrying but luckily thanks to some luck and some decent goalkeeping from Saja we never conceded on one of these counterattacks. Hersi played up front much of the game and clearly wanted the goal, and a goal is what he got in the 15th minute, as you can all see from the video above. However, the goal, apparently because the ref saw a handball, was dissallowed. As you can see when you watch the video however, there was no handball at all and the goal should have been allowed. So, that is a third game in the “Super”league where we have been negatively affected by terrible referee decisions (let me remind you that a foul was not called which eventually allowed PAO to score and a penalty was not given to AEK from clear handball at the Olympiakos game, along with numerous other poor calls). Our team’s psychology would have been completely different had the goal counted, but it didn’t, and we ended up conceding a goal which could be considered a handball from Poy. However, our defending was poor on the corner and Poy should not have had the time or the space to score such a goal. Throughout the match we dominated in possession, and created a number of decent chances, but once again could not get the ball in the net. When our lineup is compared to the lineup we fielded against Benfica, we notice it was quite similar. However, what allowed our team to be the stronger team against Benfica was the passion with which we fought that game. Against Xanthi yesterday I saw little passion from our players. Scocco, when he had the ball, seemed as if it made no difference to him whether AEK scored a goal or not. Unfortunately, with refs making such poor calls against us every time we play a game in this league, the only way to assure the win is to fight that extra bit more, rather to wait and hope for the result. After the Xanthi goal was scored there were still seventy minutes left in the game plus extra time. Against a Xanthi side which is playing some of their worst football in recent years that is plenty of time to score at least a couple of goals. But without the passions or the energy that will not happen. We have seen often in past years that Xanthi is never an easy team to play against, especially up in Xanthi. Our results up there are generally poor, with most of them being draws. Bearing that last fact in mind, I believe its safe to say that all is not lost yet. Clearly, seeing as we are eleven points behind first place, the championship will not be won this year. However, we can still turn things around and start winning some games, at least keep the pressure up on the tables and regain a higher position. 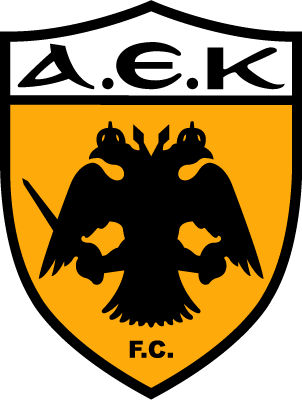 As we saw at the match with Benfica, AEK have a good squad this season, one that is certainly capable of making things happen. As for our players yesterday, everyone played a decent level. Guerreiro, as AEKMAN74 said, is a creative player who will help us much more in the future. Blanco missed a few great chances, chances which he would have put away with ease had he been on form. Scocco seems to play well when we wants, and yesterday he clearly did not want to. He provided very little to the team in general. The other attackers and midfielders played a decent game, not uch more can be said about them. As for defence, Arce has shown that he can be an alright defender, but I remember one counter attack in particular where clearly his speed was lacking and there was little he could do but drop and cover in the middle. Araujo played a good game, and likes to throw his weight around, something which I like to see from a defender. However, the refs seemed not to and called fouls every time he touched an opponent. In a league such as the EPL such a play would hot even be considered by the officials. Due to Juanfran being injured I believe, Georgeas took his place. Hedefended well, and fought hard, as we have seen before, but he had to make his runs cutting across through the middle, rather than up the left wing. Perhaps he doesn’t feel as confident with his left foot, but either way, we created few chances from the left, far fewer than from the right or through the middle. Overall our play was quite static. We didn’t see the quick and fluid passing we saw at the Benfica match. This makes for a much less effective style of football, as well as one which is far less enjoyable to us, the spectators. Hopefully we will see a much more fluid game against Panthrakikos, a team which is in terrible form at the moment. AEK 1-0 Benfica!!! Yep, thats right. A huge win for us, absolutely incredible! So many good things to say, its going to take a while. I believe AEKBaltimore recorded the game since it was on in the US as well, so hopefully he will have some more comments as well. First off, let me just repeat that once more. AEK 1-0 Benfica. Who would have thought we would have won this game. Apparently, not the Benfica coach, who said he was quite surprised by the result. However, after watching the tapes from the Olympiakos and PAO matches, he did say in his pre-match conference that AEK were a good team. I believe we proved him right. Alright, it must be said that Benfica were a pretty good team, especially in terms of attacking. Lets not forget that they have the highest scoring offense in Europe right now. However, Saja saved us today and kept us in the game on numerous occasions. His saves were incredible, whether from one on one shots or fast free kicks. His reflexes were absolutely perfect and he made saves with his finger tips or his feet. He was perfect today. Not much more can be said. He timed the runs well, and his positioning was great. Our defence we solid. Majstorovic and Arce were a great combo at the back and managed to deal with the free kicks and corners well, something we havent seen in a while. Overall, our defence was just solid. We couldn’t stop Benfica all the time (but hey, thats why we have Saja), and that was expected from such strong players such as Saviola. But for the most part they formed a wall nobody could pass. Georgeas also played a fantastic game and played with passion that I hadn’t seen from an AEK player in a long time. His defending was solid, though he left the left wing open at times. Noenetheless, we worked none stop all game and created some great runs which unfortunately never lead to any goals. Juanfran had an alright game. Not great, but he defended as well as he could, kept his stupidity to a minimum, and actually seemed to be trying his hardest out there. And lets face it, unless your trying your hardest when defending this Benfica team, you will be in trouble. Jahic was absolutely incredible. His defending was great. He managed to make many critical tackles and stop them advancing before they could create too much danger. His ball control was also great and he kept calm and composed with the ball at his feet. Hersi was also great, and him along with Georgeas were a force to reckon with down the right flank. He made great runs and showed some great technical ability. Hopefully we will see more great things to come from him. The only thing which dissapointed me about Hersi was the fact that he never seemed to want to shoot. He was always looking for the pass when he could have had a clear shot on goal. Manduca was in from today. I was really impresses with his speed at times, and it was his corner which led to out goal. He wasnt fantastic but he was certainly good enough. Scocco had a decent game, but could have done more. He had many great break aways but could not score even one of them, break aways he would have normally scored without hesitation. Hopefully with time he will start gaining some more of the form we saw against Vaslui. Blanco, once again, had some great opportunities to score (and I mean really great) but couldn’t get them in the net. The good news is he looks to be getting closer, and he was definately in the game. Bajevic’s specific instructions were for him to stay in the box rather than running around and getting tired. He seemed to do that today and hopefully he will continue to do that. The goals will start coming for him, it will just take time. He has had to get used to three different teams now in just as many years. Our passing overall was superb today. It was smooth, with little hesitation, effective, upfield (rather than the back passes we had gotten used to), and overall just a joy to watch. With this kind of passing we should have no problem with any team in the Superleague and we should be able to get by almost any opponent in the Europa League. As Im still so excited Im finding it hard to concentrate. Hopefully AEKBaltimore or AEKMAN74 will fill in everything that I missed. I will try to post a video of highlights once I find one. And a couple more things to note about the game which I forgot. Majstorovic scored our goal from a corner, a beautiful header rising over the Benfica centre backs. Also, Georgeas recieved a red, which means he will be out for a game, so Koutromanos is the last option we have available for right back for our next match. Hopefully he will be up to the task. An extremely disappointing result today for AEK in Giannena. Our starting lineup consisted of Saja, Araujo, Majstorovic, Arce, Juanfran, Hersi, Guerreiro, Jahic, Manduca, Nemeth, Pavlis. I can’t comment much on the first half since I could only watch the second half, but from what I heard we saw some decent passing from the team. Manduca apparently missed some great chances and should have scored a hat-trick. I did not hear much about Pavlis or anyone else for that matter so I will assume they played a good game in the first half, but the comments about Manduca were generally pretty negative. I don’t know about Manduca. One week he plays great, the next he is a disappointment. As for the second half, I saw some good things from our team, but unfortunately, good will not win us a championship. We need to be the best possible and there is still so much we can improve on. Our passing in the second half was good for the most part, but other than that we were not a great team. Our finishing was quite poor, and at times incredibly unlucky (we had two posts from the same play!). Unfortunately, if we can’t finish against teams like Giannena, we are not going to get the three points we need from games like these. Perhaps we will be a little more dangerous up front with the addition of Scocco next week. We gave the Giannena players far too much space to run and make plays. They had all the space and time they needed and none of our defenders seemed in a hurry to shut them down. Fortunately, we were tighter in front of the goal but when we come up against stronger strikers that may not be the case. Overall, it was not a horrible performance from our team and in the past we had seen much worse. And it must be said that Giannena will be a tough stadium for any team to play at, as it has always been in the past. We scored first, early in the second half, but we could not score anymore goals, as has been the case in out other two Superleague matches so far this season. And as Im sure most of you know, 1-0 is not a safe score. For example, Levadeiakos were winning 2-0 today and Ergotelis caught up and tied the match at 2-2. Later on in the match a Giannena player recieved a red card but things werent changed a bit. Instead, Giannena tied the game on a poor mistake from Arce. Many are questioniing Bajevic’s tactics and substitutions today however I believe the only people who were to blame for the result today were the players for not trying hard enough for another goal. We’ve seen this before, and unless we see the players try harder, push more for that extra goal, we will always be stuck at 1-0. I’ll try to post more later, as well as a video when they are available. Anyone who saw the whole match please add your comments as well! Well, our match in Giannena starts in a little under an hour. Our most likely starting lineup is said to be Saja, Araujo, Majstorovic, Arce, Juanfran, Jahic, Guerreiro, Hersi, Manduca, Nemeth, and Blanco. We will be going 4-4-2 with Blanco and Nemeth up front. A good line-up in my opinion, very strong, with some experienced players. Kafes, Makos, and Leonardo will all be excluded from the starting lineup due to their poor performances against Everton (well, except Kafes). Scocco will not be in Giannena due to the red card he picked up last weekend. There are so many AEK fans up north that they are sitting wherever they can get tickets since the tickets for the gate where AEK fans are meant to be placed are sold out. Its definately great to hear that AEK supporters are still supporting their club even after loosing 4-0 earlier this week. Hopefully we get a strong win today, however this is never an easy stadium to play in. A good win here will definately give us some momentum for the derby against Olympiakos later this week as well as allow us to keep up our good record in the Superleague.